Should you decide it’s time to sell, The DEBALLI Group of BHHS Fox and Roach is uniquely qualified to market your residential property. 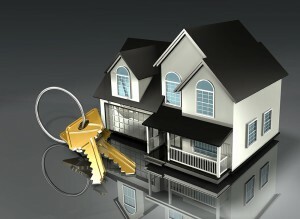 We are Delaware’s residential market specialists. Our exceptional reputation with buyers, sellers and with other brokers ensures that your property will receive the most professional attention and attract the most advantageous price. The DEBALLI Group is in the forefront of marketing and technological innovation to ensure that we generate the greatest interest in your property. Our goal is to sell your property at the highest price in the shortest possible time with a clear, precise marketing strategy. We co-broke your property to other members of the brokerage community, so that you reach the widest possible audience of qualified buyers. We will communicate the listing directly to well-qualified buyers in Delaware and surrounding areas using our own client base, the resources of BHHS Fox & Roach Real Estate Services and various Internet sites through DEBALLI Real Estate dot com and the MLS Listing Service. Classified advertising in The News Journal and other local print media. Customized, illustrated brochure with key selling features, produced in association with Prudential Fox and Roach. We offer a more strategic pricing and marketing plan for short sales than our competitors. A dedicated agent who will guide the entire marketing process, ensure discretion and report to you on a regular basis. The widest possible exposure within the brokerage community. With an exclusive listing, The DEBALLI Group shares information with all members of the Real Estate Board of Delaware. Shepherding of the sale to its successful conclusion, helping you navigate the myriad of details associated with the transfer of ownership.